你好! My name is Jane and I am currently spending part of my summer break in wonderful Taiwan! I’m a Part III Chemical and Materials Engineering student and I’m doing a research internship at National Chung Cheng University to complete my practical hours requirements. Taiwan is a amazing island nation off the coast of mainland China. I fell in love with Taiwan when my family and I came here a couple of years ago so when the opportunity to intern in Taiwan came up, I jumped to it. I’m really looking forward to exploring the bustling cities and tranquil national parks, revisiting places and discovering new ones! Not forgetting the glorious, glorious food. Think of all the bubble tea and XL fried chicken! This will also be a great opportunity for me to experience post-graduate life and give me a better idea of what I want to do after finishing up my Bachelor’s degree (just one more year to go, eek). I hope my posts will give you an insight to what it is like to study in Taiwan and I’m really excited to share my adventures with you guys! Hi! I’m Charlie. I’m in my third year of an LLB/BCom conjoint. I’m lucky enough to be taking a summer school paper in a different country – Denmark! Previously, you could only do an exchange for a semester. Fortunately Aarhus University in Denmark has come up with the genius idea of giving students the chance to do a summer school paper while on exchange. Yes, you read that correctly: it is now possible to inch ever closer to finishing your degree with a summer school paper, while simultaneously enjoying Europe. This means I’ll be spending a few intense weeks in Aarhus, a city in Denmark. I’ll be studying a paper that is a combination of climate law, European Union law and international law all rolled into one. The law nerd side of me is super keen to get stuck into European Union Law, learn about this fairly unique political set up, while also try to come to grips with what’s happening with Brexit. The more normal side of me is really excited to see what university in a Northern European University is like. As an avid cyclist I intend to make full use of Denmark’s well-designed bike lanes. Enjoying a few Danish pastries is definitely on the to do list also. What I’m looking forward to: HARRY POTTERRRRR!!!!!! Hello my name is Timi and I’m a second year student at the university. I’ll be studying marketing and international business for one semester at the University of South Carolina in the United States. I am part of the first ever group in the Global Business and Innovation exchange and I’m really looking forward to what this journey will bring. This is a tripartite programme is made up of 10 students from the University of Auckland, the University of South Carolina and the Chinese University of Hong Kong. Therefore, I am extremely excited to meet the other two thirds of our cohort and make lifelong friendships all over the world. The university of South Carolina ranked as number one in the U.S for their undergraduate international business programme and is said to be in the top 25 of the best colleges for food. Consequently, I not only look forward to the academic culture of South Carolina, but also tasting the incredible food of the South. Hi there! I’m Sophie, and I’ll be starting my second year of a Bachelor of Arts degree (majoring in English and Classical Studies) when I start my exchange semester in January 2019! I’ll be on exchange at Lund University in Sweden, so I’m looking forward to a big change from what I’m used to in Auckland! This will be my first time travelling by myself, and also living out of home, as well as my first experience in Europe! I am hoping that this exchange will provide me with experiences that I wouldn’t have had at UoA, both in terms of the learning opportunities and syllabus, and also extra-curricular opportunities. I’m excited to meet people from all over the world, and to experience new and unexpected things – life is an adventure after all! For me, this exchange is equal parts experiencing a different university (I count myself very lucky to have been accepted to such a historic and unique university); and also getting out into the world and learning about different people, cultures, and languages. I’m excited to get to share my experiences, and hopefully inspire some people who read this to take the plunge and get out into the world too! Hey! My name is Bani Sehgal and I’m an international student halfway through my second year of a BA (Psychology and Economics majors). My identifiers include the usage of an unnecessary amount of exclamation marks and an extensive knowledge of Harry Potter! For semester one 2019, I will be travelling to the University of California, Berkeley for one semester. This exchange is an exciting opportunity to meet new people, explore a different country and get the true “American University Experience”. I believe this exchange will provide me with more insight about where I want to end up and what I want to make of my degree in the future. I love hiking, poetry, and cheeseburgers (all of which are in abundance in USA!) and hope to chronicle my journey across different burger joints in California. I am about to embark on a scary but exciting journey and I hope my blogs encourage you to do the same! My name is Shannon and I’m going to be finishing my Bachelor of Arts/Music degree at Trinity College in Dublin, Ireland. As a stay-at-home Aucklander who has only gone on trips with the family, this exchange experience will be quite the adventure. I am a huge bookworm so I’ll be living the dream in the massive library at Trinity College. When I initially considered the 360 exchange, my first thought was, “I can’t do that!” but after talking to my family and friends, thinking and praying about it, I decided to take a leap of faith and give it a go. When people ask me how I feel about going to the other side of the world, my typical response is that I am excited and nervous. Just the thought of going so far from home is scary but I know that this will be an incredible experience that I will remember for years to come. So, as I finish packing and load up on favourite treats to get through the homesickness, I anticipate when I will fly to the beautiful country of Ireland. Join me as the adventures of a quirky, directionally challenged bookworm begin! Hello! I’m Rachel, a 3rd year mechatronics engineering student heading towards the National University of Singapore. I’m excited for the opportunity to experience a lifestyle (and climate) that is different to back home. Singapore is about 400 times smaller than New Zealand in land area, yet it’s population exceeds ours by about a million. So within this compact country, I hope to meet a few locals and see what kind of delicious food they might have hidden away. I look forward to discovering new experiences and to living life at a slightly different pace. I can’t tell you what kind of people I’ll meet or which neighbouring countries I might visit, but I can tell you it’ll be an adventure for sure. Hey everyone! My name is Jade, and I’m a 3rd year student, studying computer science, marketing and finance. Two years ago, I was in the UK for a short trip, and as I walked down the streets of London, I fell in love with the atmosphere, beautiful buildings, and liveliness of such a big city! I remember saying to myself that I NEED to come back and study here to experience it in full. So, I’ve made it happen – I’ve skipped the beautiful NZ summer and have flown over to the other side of the world to study abroad at Kings College London for semester 1 of 2019! I’m really excited to experience the teaching in multiple faculties at Kings College London, as well as get a taster of the lifestyle in London and the UK. Of course, there will be a lot of shopping, travelling, making new friends, and hopefully I’ll even pick up a bit of the British accent too! Whilst on exchange, I’ll be making a range of different blog posts, so I hope you take the time to follow along. Catch you in my next blog post! Hiya! My name is Tana and I am currently a second year BCom student majoring in Operations Chain Management and Accounting. I will be spending the first half of 2019 studying at the University of California, Berkeley, in the United States. California holds a special place in my heart because I lived in San Diego for four years before coming to the University of Auckland. Seeing all my friends enjoying their college experiences in America tempted me to go get a taste of it myself. I chose UC Berkeley in particular because it is the number one public institution in the world and home to the prestigious Haas School of Business. It is also close to Silicon Valley and San Francisco which are both places I hope to visit. Through this exchange, I aim to make new friends, explore Northern California, learn to live independently and push myself outside of my comfort zone. Hello hello! I’m Zheng Wei (not just Zheng!) from Singapore, and I’m a third year Bachelor of Arts student majoring in Screen Production and Media, Film and Television in the University of Auckland. I’ll be heading to Yonsei University in Seoul, South Korea for exchange! I’ve kind of dreamed of going on university exchange for a long time now, and I can’t believe it’s finally happening. South Korean media has taken up a really significant amount of my media use through my teenage years. It has been almost 10 years since I gained an interest in Korean media, from the early days of K-pop, variety shows and dramas, and now to the many other genres of Korean music, as well as film. Having made the decision to embark onto a media journey for my future career, this exchange to Korea will be one that will (hopefully) allow me to fully immerse myself into the country’s culture, and to understand the workings of their media industry from an insider perspective – all these beyond my insights on the Singaporean, American, and perhaps New Zealand industries I’ve been used to so far. I believe this’ll be an unforgettable journey for me. Let’s go! I am currently on a one-semester exchange at The University of St Andrews in county Fife, Scotland! I am in my second year of studying computer science and psychology within a BSc. My hopes for this exchange are that I gain lots of academic and personal experience and gain some independence. My expectations are pretty mixed. I’m quite an introverted person so I expected to be thoroughly overwhelmed by university hall living but I also expect to learn how to deal with that and come out better for it. My goal for this exchange is honestly to not fail either of my courses! and also to not lose my passport (the pubs here don’t accept NZ IDs so I have to take my passport out with me and it makes me so stressed!). Really though, my main goal is to make the most of every opportunity that comes my way and have fun! I’m really looking forward to making heaps of life long friendships with people from all around the world and learn about and live in a culture outside of New Zealand. Kia ora koutou! Or as I should now say.. ¡Hola a todos! I’m Daniel Tukiri coming to you from the other side of the world (literally): Granada, Spain! Originally from Auckland, I’ve decided to take the looong leap and spend a semester studying at the Universidad de Granada (University of Granada). I’ll be studying Spanish and history, and I am absolutely stoked to experience everything this beautiful country has to offer and learn all about it’s rich history. While I’m here, I’m gonna take advantage of the super cheap flights around Europe, eat all the tapas I can, meet people from all over the world and hopefully get my Spanish to more than just hola and fiesta. 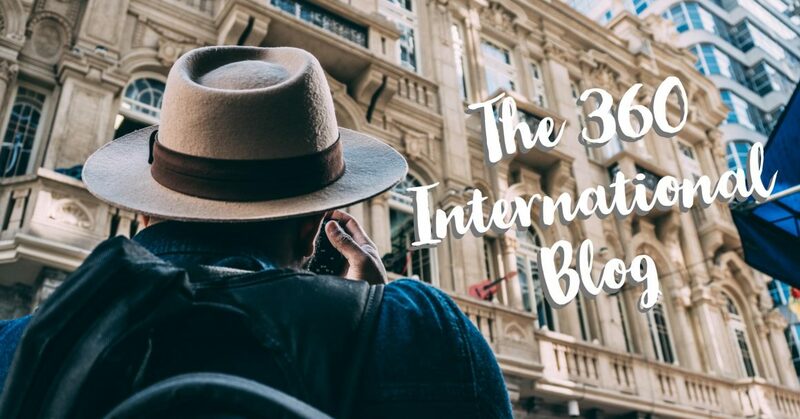 I’m also hoping to give you all a really good insight into the Spanish lifestyle and Spain in general so you can put it on your travel bucket list…or get your 360 exchange application started! ¡Vamonos!